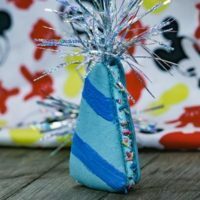 Happy New Year’s Day to all our loyal Disney Dose readers! 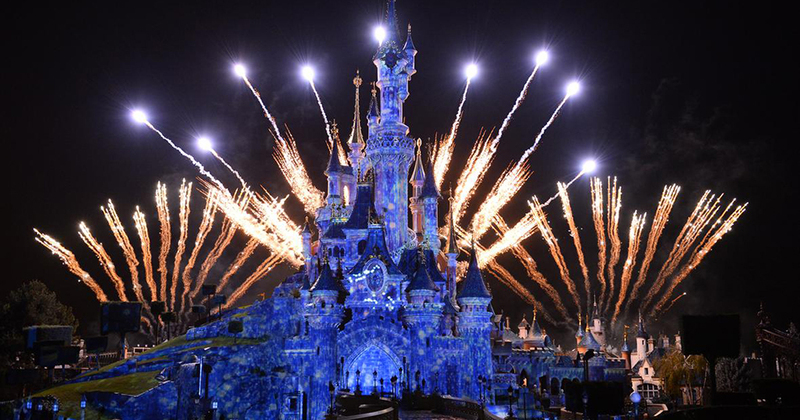 Let us transport you to the celebrations of New Year’s Eve at the Disney Parks around the globe throughout the years. There’s no better way to start off the 2019 year with Disney magic history and a little pixie dust! 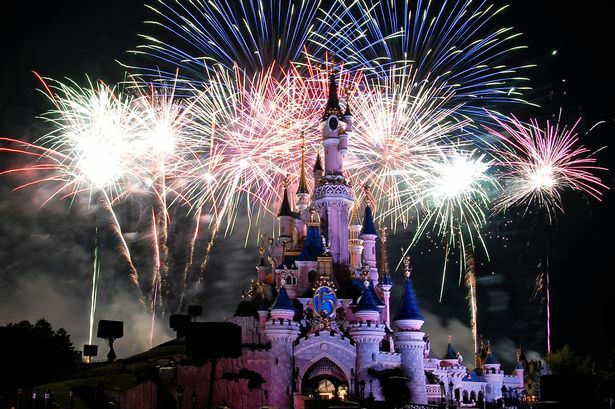 Ready to Experience the Magic of a Disney Parks Vacation for the New Year? Let Us Help! For many of us readers at Disney Dose, our heart lies here. 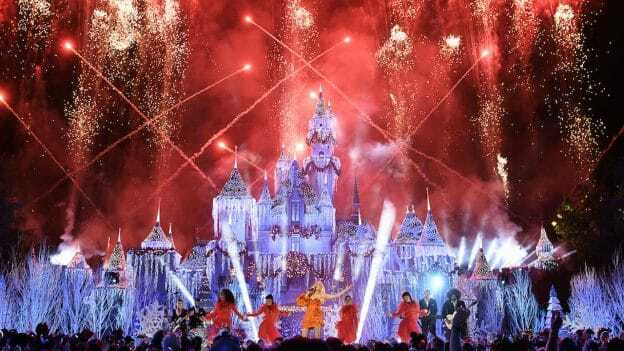 Celebrating New Year’s Eve at Disneyland is no better way to ring in the New Year! 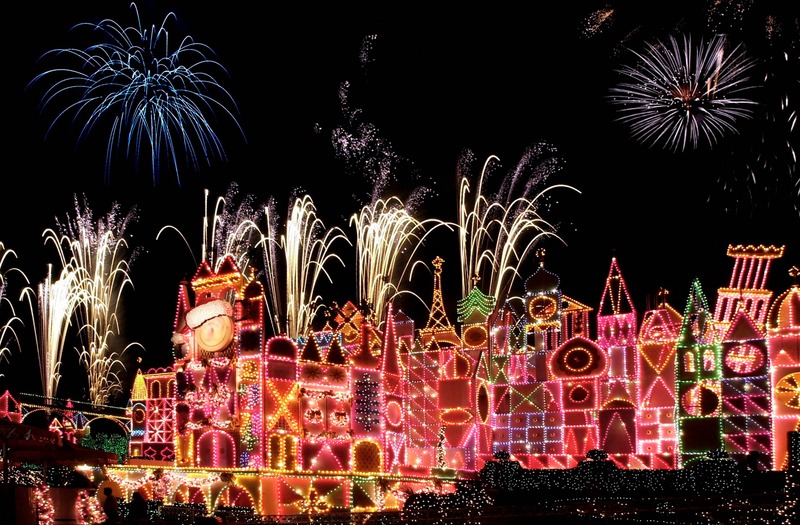 The beautiful display of it’s a small world Holiday looks even better with fireworks! 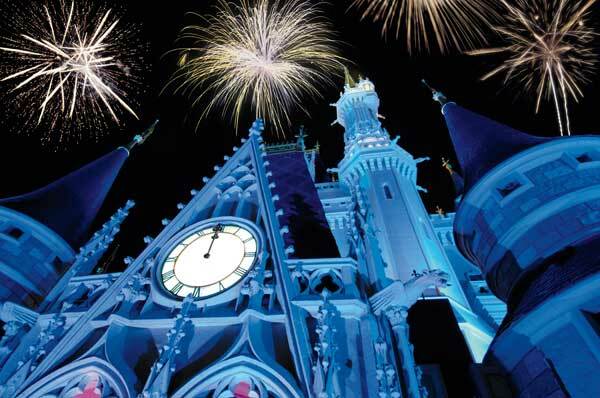 Walt Disney World has been known to throw quite a party for New Year’s Eve over the years! Check your glass slipper, the clock strikes midnight here! 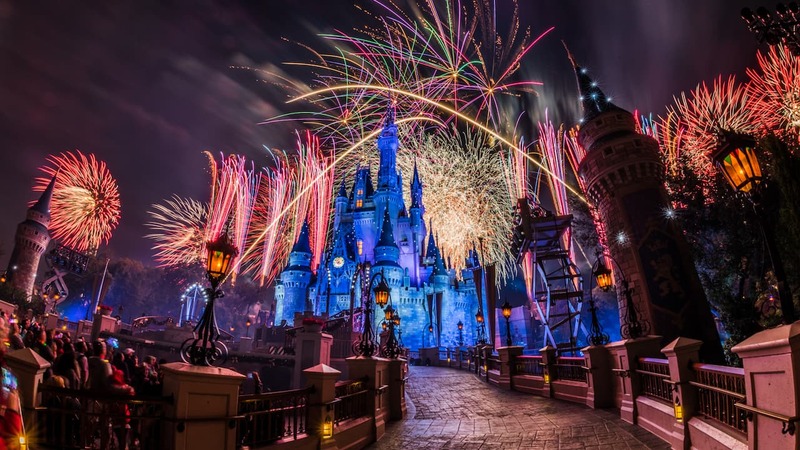 This is one of my favorite shots from the Disney websites of the fireworks at Magic Kingdom- just breathtaking. 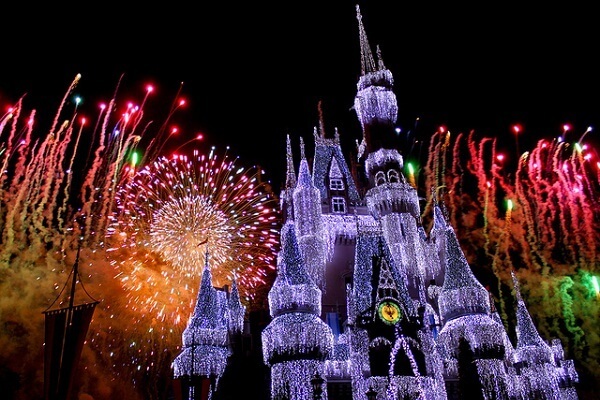 One of the best part of New Year’s Eve at Walt Disney World? Still enjoying the beauty of the holiday decorations as you celebrate. Epcot throws quite a celebration every year for New Year’s Eve and it sure doesn’t disappoint! I wonder what New Year’s Eve will look like at Hollywood Studios next year with the opening of Star Wars: Galaxy’s Edge? Will storm troopers be in attendance at the dance party? Darth Vader vs. Kylo Ren dance off perhaps? Maybe I’m dreaming. Call me, Disney. I have big ideas. 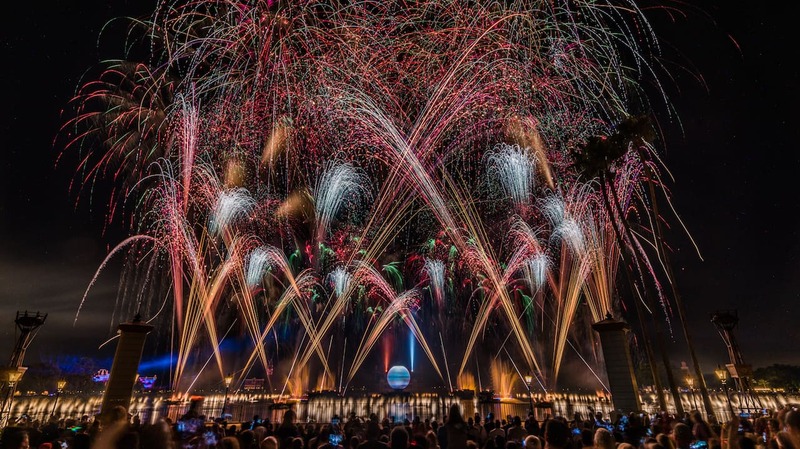 Fireworks make the most stunning pictures for talented photographers- lucky for us, Disney has plenty! 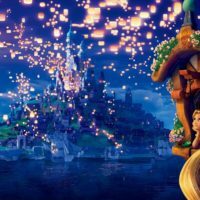 Is Disneyland Paris on anyone else’s bucket list? Because it’s sure on mine! Look at that castle! Absolutely stunning, I can almost feel the romance of Paris and New Year’s Eve all in one. While there is plenty to do on New Year’s Eve in Tokyo- you won’t see fireworks abound like you do in the states. But at Tokyo Disneyland you can find them there! And they stay open longer- win, win! 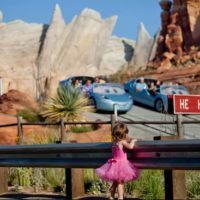 There is always a lot of information to consider before planning an Disneyland or Walt Disney World vacation. Don’t forget to subscribe to our FREE Deals Newsletter to stay on top of the current planning tips, strategies, and deals.